Though we probably won't see it before September, Apple has just announced iOS 12. It's not what we would call revolutionary, but it does teach Siri some new tricks and offers a set of tools to help with our screen addiction problem. If you think that sounds familiar, it's probably because last month Google talked about similar features for Android P. So which operating system comes out ahead? Let's take a look at what iOS 12 has to offer. The biggest problem with Siri has always been the fact that it has a limited number of abilities that mostly focus on Apple's built-in apps. Siri does support third-party apps, but not always very well — so you can call an Uber, but can't play your favorite album on Spotify. Apple is addressing the problem with a new feature called Shortcuts. A shortcut is a series of actions you specify, which you can trigger with a voice command. For example, before driving home from work every day you may want to text a family member with the time you'll be home and turn down the thermostat, which you can group together in a single Shortcut. Siri will also learn your routine and suggest actions to help you through the day. If you stop at Starbucks every morning before work, Siri will offer to order your favorite drink via the Starbucks app at the time you usually order it. And if you aren't sure where to start with Shortcuts, there will be hundreds of pre-made Shortcuts you can download to add more functionality to Siri. Shortcuts seem similar to Alexa's Skills, which allow you to add all kinds of functionality to Alexa-enabled devices. They're also a bit like Google Assistant's Continued Conversation feature, which lets you ask Assistant to perform multiple actions at once. With Shortcuts, you'll be able to program Siri to perform a string of actions, though they're likely to be a bit simpler than Alexa Skills and less flexible than Assistant's ability to perform multiple actions on demand. And you can't expect to have realistic conversations with Siri any time soon, while Google Assistant can easily pass for a person. 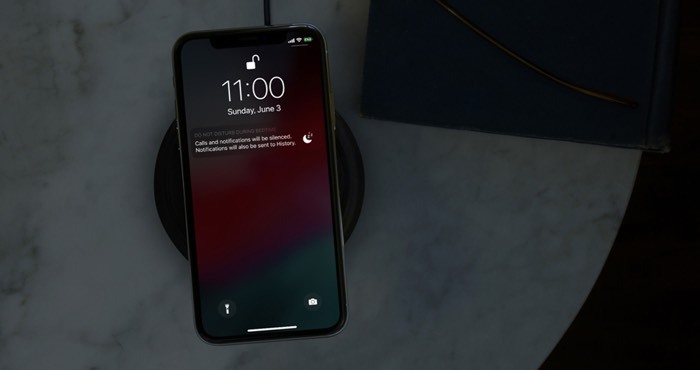 Still, these updates add much-needed functionality to Siri, and iPhone users who want to use voice controls with more than Apple's apps will be glad to have them. Face it: we all spend too much time on our phones. Both iOS 12 and Android P have similar solutions to this problem, with an improved Do Not Disturb mode and more information about where you're spending your time. But here, iOS offers a bit more, with great built-in parental controls. Knowing how much time you're spending on your phone is the first step in the screen addiction struggle, and a new Screen Time feature gives you all the details. It offers charts showing how much time you spend in different app categories (games, social networks, etc), how many notifications you received, and how often you picked up your phone. 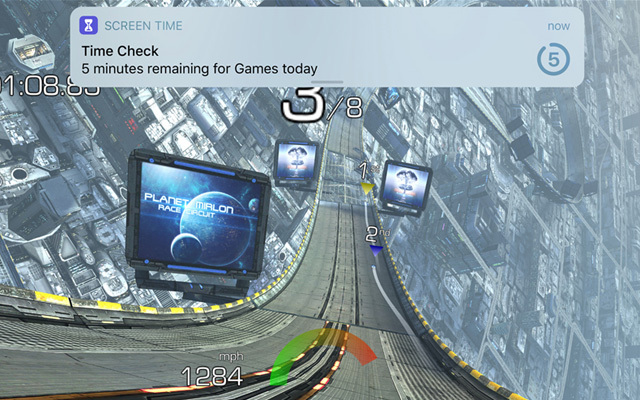 You can set time limits for yourself, where your phone will nag you if you spend too much time in an app. You can also set am "allowance" for your kids, which lets you limit overall screen time, limit time in specific categories or specific apps, and block access to movies, apps, or websites you don't think are appropriate. You can manage this — and see their current Screen Time report — remotely from your iOS device. 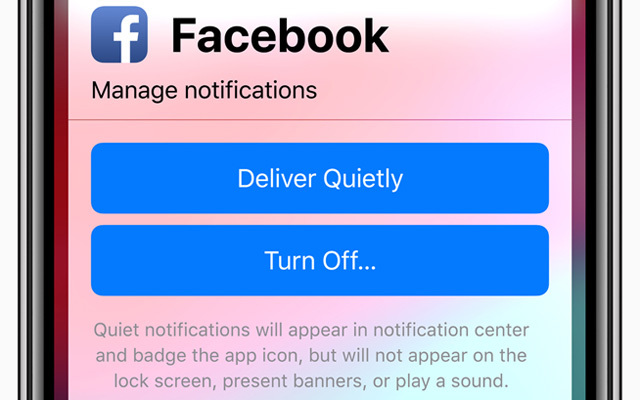 On top of Screen Time, Do Not Disturb mode is easier to turn on and off and you'll have more control over notifications so you're never bombarded with messages. All in all, these improvements will help you cut down on digital distractions whether you're concerned about how much you use your phone or not. Any device that can run iOS 11 will be able to run iOS 12… and they'll be running faster, too. Usually, when you upgrade iOS, your iPhone slows down under the weight of all of the new features. But iOS 12 is optimized for performance. Apps will launch up to 40% faster and the camera will launch up to 70% faster. This is a big deal for anyone carrying around an older phone. Many of Apple's built-in apps, including News, Stocks, Voice Memos, and iBooks (now Apple Books), have gotten a redesign. FaceTime has gotten a more substantial update that adds group calls of up to 32 people — a nice feature for large families (though a 32-person call would still be crowded). However, Apple News could have used a little more than a facelift. Google's improved Google News uses machine learning and human editors to compile just the right stories so you can understand the latest news. Apple has a good selection of news, some of which is chosen by human editors — but it just doesn't match up to Google's excellent news curation. But Apple's new AR features are interesting. On the practical side, you'll be able to throw away your tape measure as the new Measure app takes dimensions simply by pointing your camera at an item. On the fun side, iOS 12 supports multiplayer AR games, and Apple's demos looked like a lot of fun. The most impressive was a LEGO game that brings LEGO constructions to life in AR, creating virtual cities you can view through your iOS device. 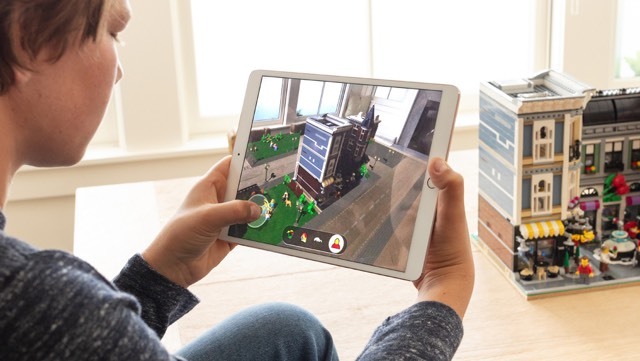 Because it's LEGO, of course you can build and play with your virtual creation — and iOS 12 will let you play with up to four other people, as long as each has their own iOS device. Google is pushing AR, too, with tools that allow developers to create multiplayer AR apps that work on both Android and iOS. The ability to play games with friends no matter what brand of phone they have is great, but so far there aren't any impressive games that take advantage of it. Until Google has more multiplayer AR games, Apple wins on this front. When can I get iOS 12? Apple hasn't set a launch date the latest iOS update, but it's likely to go live in the middle of September. The company typically rolls out iOS updates alongside iPhone updates.